SAFS Society Member, Jonothan Duffy was honoured with 1 of 2 scholarships offered by the Peterborough Horticultural Society. "Jonathan Duffy, is a second year student in the new Sustainable Agriculture and Food Systems program at Trent. He lives on an organic farm just outside Peterborough where he is learning first-hand the different techniques of organic farming. He volunteers at the Trent vegetable gardens at the University and has also volunteered as a tree-planter and is a full participant in the Trent Sustainable Agriculture and Food Safety Society Club. “First, I would like thank the Peterborough Horticulture society for this scholarship. It will provide a great opportunity for me to connect with the community in Peterborough. My thinking is that this is only the start for me. Along with other Agriculture and Horticulture students, we will strengthen our ties to the initiatives of this community through groups like the Peterborough Horticultural Society and others on the city. Together, we can help you build a bigger and stronger gardening and farming community in this city,” said Mr. Duffy, who hopes to make use of his horticulture knowledge after graduation by operating an urban farm or working with small not-for-profit organizations to help to integrate mini-farms and gardens into urban environments." Good for you Jon! SAFS students, this scholarship is available every year to qualifying students at Trent and Fleming College who are studying horticulture or horticulture-related fields. Canadian employment opportunities in sustainable agriculture and food systems were inventoried from those posted on Foodwork.ca (local and sustainable food jobs) and GoodWork Canada (Goodwork.ca) between January and November of 2014. They provide insight into the new types of cross-over positions that combine skills and knowledge in areas such as farming, education, culinary, nutrition, alternative procurement, business and marketing, advocacy, food security, food justice, and community development as well as the kind of job progression that is possible. The dozens of seasonal internship and apprenticeship opportunities (usually work/stay plus small weekly honorarium and end of season bonus) have not been included here, due to their large number and the fact that they are not salaried positions. Many beginner farmers choose to pursue 2-3 such placements assuming progressive levels of responsibility before starting their own farm operation. C.R.A.F.T. Ontario (Collaborative Regional Alliance for Farmer Training) Eligible farms must practice ecological farming principles in order to join the collaborative. The US ATTRA (National Sustainable Agriculture Information Service), which also carries extensive listings of Canada-wide internships. The US Farm-Based Education Network which promotes on-farm education programs. Of note, the job boards listing more conventional agri-business positions such as AgCall http://www.agcallhr.com/ and AgCareers.com http://www.agcareers.com/canada-central-region.cfm have multiple positions for which a background in agronomy is key. These include herdsman, dairy specialist, crop inputs specialist, business agronomist, grain merchandiser, ag. service technician as well as overseas advisory positions. Trent S. Ag graduates are not qualified for these, and so they are not included. The majority of farming positions are on non-capital intensive, small-holder operations with a focus on vegetable production and small-scale livestock production, (e.g. non-quota, pasture-raised poultry, pork and egg production), and distribution via farmers’ markets, farm stands and CSAs. Most are presented as a seasonal ‘apprenticeship’ or trainee type opportunity with the provision of food and accommodation (work/stay), a small weekly stipend and possibly an end of season bonus. This list excludes most of the unpaid entry level positions (they are too numerous to inventory), but includes those at a more senior level and those that are salaried. Despite the need for considerable experience, many of these positions do not pay a living wage. Note: list excludes positions which are culinary/chef only. Environmental Farm Plan Director – Alberta. Evergreen is a not-for-profit organization that inspires action to green cities. By deepening the connection between people and nature, and empowering Canadians to take a hands-on approach to their urban environments, Evergreen is improving the health of our cities - now and for the future. Evergreen’s Food Program works at the individual, community and systems level to empower Canadians to become active participants in building stronger regional food systems that promote the health of the individuals and the environment. By engaging citizens in growing, cooking, celebrating and procuring food regionally from farmers that promote environmental integrity we build a model for green cities around the world. Evergreen is seeking a Food Program Coordinator to coordinate all food related activities at Evergreen Brick Works. • Ensures vendors and market operations are in compliance with Farmers’ Market rules and regulations. • Maintains accurate and complete records on the market and vendors throughout the year, including collecting and processing fees. • Responsible for mediating disputes between vendors or between vendors and customers. • Prepare the weekly report which includes issues and/or suggestions to keep management inform. • Support the ground logistics required for the delivery of food related workshops. • Operational support to ensure the smooth delivery of themed Farmers’ Market or other free-standing festivals at Evergreen Brick Works. • Flexibility/adaptability. Flexible, versatile and/or tolerant in a changing work environment while maintaining effectiveness and efficiency. Adjust quickly to changing priorities and conditions. Cope effectively with complexity and change. • Calm under pressure. Demonstrate composure in stressful situations. • Customer-focus. Anticipate, understand, and respond to the needs of internal and external customers/donors to meet or exceed their expectations and receives positive feedback from internal and external customers/donors. • Post-secondary graduate and/or 3 years’ related experience. • Intermediate Excel and Word skills. • Experience using database programs or demonstrate ability to learn. • Standing for extended periods of time; ability to walk the market during market hours. Weekly work schedule is Wednesday to Sunday inclusive. Who we are: Ecosource is an innovative environmental organization that empowers the community to become more environmentally responsible through creative public education. We specialize in hands-on programming that aims to increase environmental sustainability in Peel Region and beyond. The position: Ecosource is seeking a School Food Coordinator to lead the Alternative Avenues to Local Food Procurement in Ontario Schools Project. The Alternative Avenues Project is led by Ecosource in collaboration with community partners across the province to assess current purchasing practices, identify barriers and provide training to increase the quantity of local foods procured in Ontario School programs. Through Regional School Food Action Hubs this project works to improve access to local food in schools, food literacy in school programming and public sector procurement. The Coordinator will be working with a geographic focus in Durham Region, Thunder Bay and Peel Region in the contexts of student and teacher-led food programs (especially secondary school hospitality programming), some traditional cafeteria food-service and Student Nutrition Programs. Ecosource is seeking an enthusiastic and innovative individual to lead the implementation of this project. You are a highly organiz ed, innovative and enjoy a fast paced environment. You are knowledgeable about the Ontario food system and institutional food procurement and are keen to oversee collaborative research and deliver education through in-class workshops, field trips, webinars and training sessions for students, teachers and community food groups. The Table Community Food Centre is seeking an energetic, innovative leader to fill the role of Executive Director. The Table CFC is a locally operated, non-profit organization in Perth, Ontario committed to increasing access to healthy food in a manner that maintains dignity, builds community and challenges inequality. Our goal is to ensure that everyone in our community has enough safe, good quality food to have a healthy life. Our primary focus is on meeting the needs of low-income community members in a welcoming and respectful environment. Programming includes a healthy food bank (The Good Food Bank), regular drop-in meals, community kitchens and gardens, seniors and after-school programs, community action training and a community advocacy office. The Table is an affiliate of Community Food Centres Canada. As Executive Director you will oversee and manage all aspects of The Table’s operation, working closely with the Board of Directors and managing a staff of approximately 10 full and part-time employees as well as working with Community Food Centres Canada (CFCC) helping to build awareness and knowledge of the community food centre model, and to ensuring that ongoing collaboration takes place with CFCC and other CFCs in the areas of communications, fundraising, evaluation, policy and programming. As a candidate for this position, you are passionate about working with, and resolving issues relating to poverty. You understand and are committed to building community advocating for food security and social justice. For more information about The Table Community Food Centre and this position go to: thetablecfc.org. It's definitely not as easy as this, but it's a pretty cute and catchy video! I would like to invite you all to an SAFS information session. It will take place on November 26, at 5 pm., in the Champlain College Living Learning Commons (upstairs from the Seasoned Spoon). At this session I will provide an overview of the SAFS BA and BSc degree programs, including their required and optional courses. I will also describe the innovations we have planned for next year. These include new courses, new cross-listed course options, and the proposed new SAFS BA and BSc joint major options. And I'll answer any questions you may have regarding the SAFS Program. All students – whether already pursuing an SAFS BA or BSc degree, or considering doing so – are welcome to attend. 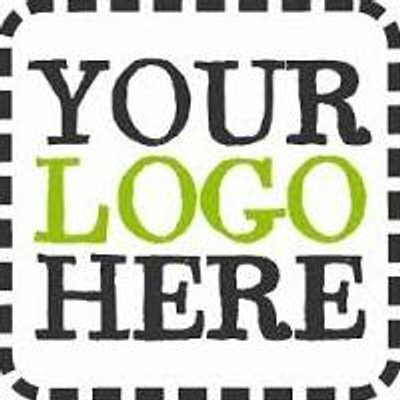 The Sustainable Agriculture & Food Systems Society is looking for an official logo! If you have some creative talents (or really, even if you don't) we'd love to see your ideas for our logo! Please keep in mind when you're designing the logo that it cannot simply be an alteration of the Trent logo. What do you get out of it? We are planning to get t-shirts, and they will featrue the logo, when we do get these, you will win a free t-shirt, if your logo is chosen to represent our society! Please submit them to the safssociety@trentu.ca email address. It was amazing to actually see where honey comes from! I even got to see a couple of bees hatch! My name is Sabrina and I’m a 3rd year biology student here at Trent. On September 23 I had the pleasure of meeting the Trent Bees after getting in touch with Whitney Lake who runs the apiary. It was an absolute amazing experience! The first thing that struck me about the bees was how busy and absolutely consumed in their work they were. On the front side of the hives there were thousands of bees coming in and out and moving around the opening of their homes. Although it was hard to tell exactly what many were doing (for me at least – a person with no bee keeping experience) it was obvious they were hard at work! 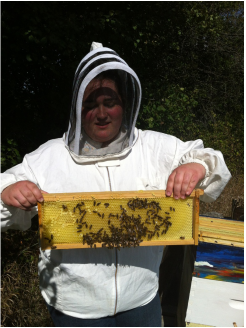 Whitney showed us the inside of the hives and removed a honey frame to show us where the bees work, keep their honey, and hatch. It was amazing to actually see where honey comes from! I even got to see a couple of bees hatch! I also had the great honor of eating a spoonful of fresh honey comb straight from the hive and let me say that it was literally one the best things that I have tasted – possibly ever so sweet since now I could see what goes into making it! I would love to learn more about these hard working bees and bee keeping, it is for sure something I would like to be involved in! My thanks go out to Whitney and the Trent bees for this great experience!